Draw you frame-to-frame animation from scratch, or create animations upon videos, images, PSD layers. 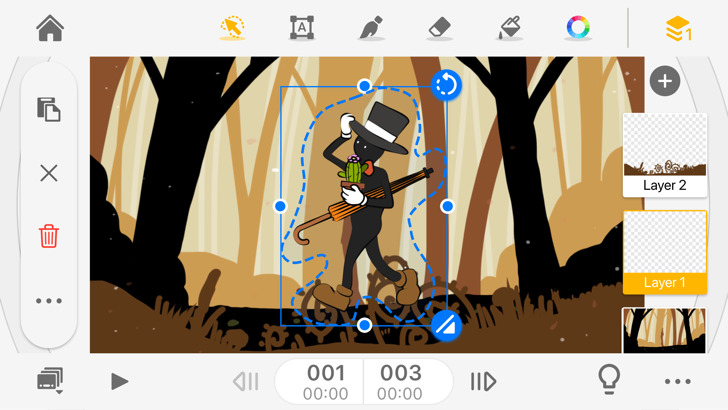 Animation Desk supports multiple import and export formats, and lets you create and share animations right on your iPad and iPhone. 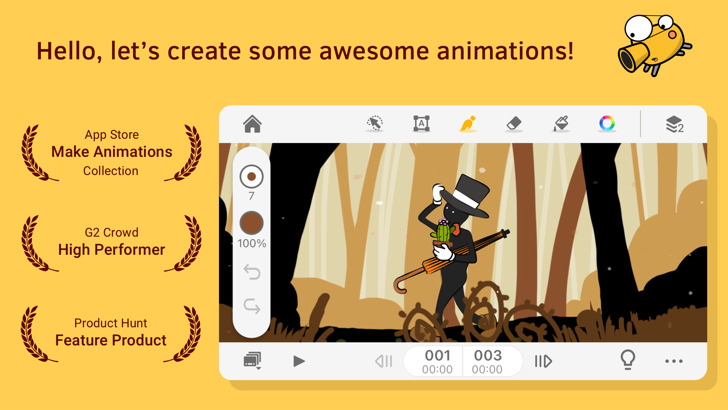 • Share animations on AniZone, a community for creative artists. Any unused portion of a free trial period, if offered, will be forfeited when the user purchases a subscription to that publication, where applicable. Subscriptions will be charged through your iTunes account at the confirmation of purchase. Your subscriptions will automatically renew unless cancelled at least 24 hours before the end of current subscription period. Your iTunes account will be charged for renewal within 24-hour prior to the end of the current period, for the same duration and at the current subscription price. You may manage your subscriptions in your iTunes Account Settings after purchase. No cancellation of the current subscription is allowed during an active subscription period.